Okay, you’re probably wondering “What’s a 9SOP?”. Well, 9SOPS is the acronym for Mike’s squadron in the Air Force Reserve at Vandenberg Air Force Base. It stands for “The Ninth Space Operations Squadron”. 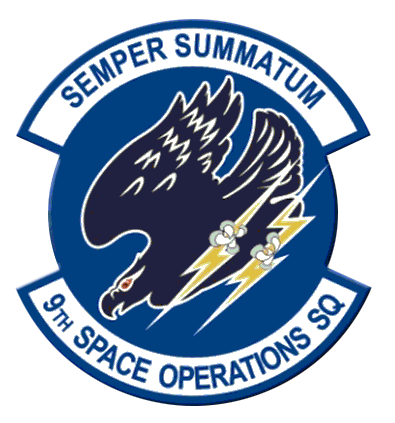 9SOPS is a member of the 310th Space Wing. Garrisoned at VAFB. So you’re probably wondering what does “Semper Summatum” mean? I don’t have to explain it to my brothers Rich and Stan who were a lot smarter than I was at learning latin. It means “Always on top”. Perhaps, “Always above”, but I prefer “Always on Top”. So before the start of the promotion ceremony, we were all standing around the break room talking with many of Mike’s peers. The break room was a room stocked with all of the stuff that nerds and geeks fire on all cylinders, Fritos, Chocolate, Candy, soda, etc. There may have been healthy snacks but I k didn’t see them. So I happened to be talking with Mike’s CC (that would be CO in the Navy). I never knew that. So the good colonel was explaining in broad terms what they do. I told the colonel that I had learned more from him in five minutes than I got from Mike in five years. They take security seriously. Back in the day, I remember reading a story about the author Tom Clancy who wrote a ton of cold war spy stories. After he had published “The Hunt for Red October” he got a call from the CIA or NSA or maybe some other hush-hush agency. They wanted to know where he got all of his information? Who was feeding him info? Clancy told them nobody, I got it from the public library. Remember this was before the day of Google or Wikipedia. 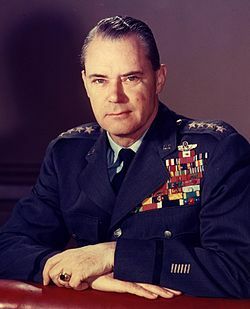 Indeed, I looked up all of my stuff about Gen. Vandenberg and the USAF on Wikipedia. 9SOPS is responsible for keeping an eye on all of the stuff in orbit around the earth. And when there is a possibility of a collision, they will let the appropriate people know. They would let NASA know, foreign governments, the ISS, etc. Trust me when I tell you these are some seriously smart people. I was impressed with the number of women in the organization (both officer and enlisted). This is a reserve unit. So all if the unit members do there one weekend a month on the same weekend. There is also an equivalent active duty Space Operations Squadron. (Also stationed at VAFB).